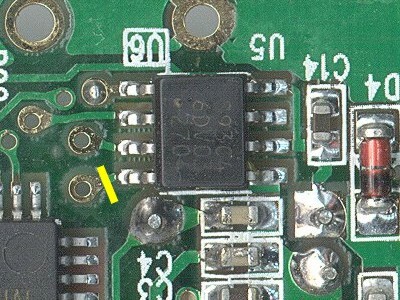 Yes, all CueCat devices have a unique serial number that DigitalConvergence uses to track every item scanned in with their CRQ software. Personally, I like a little privacy (and you probably do, too), so here's an easy guide to removing that pesky number that anyone can follow. 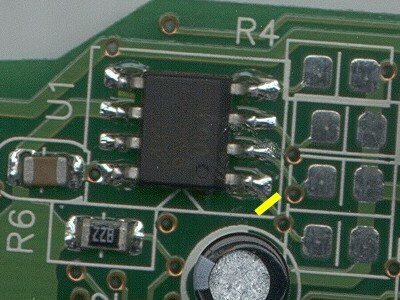 Remove the 2 screws and open up the unit. Remove the 4 screws and open up the unit. 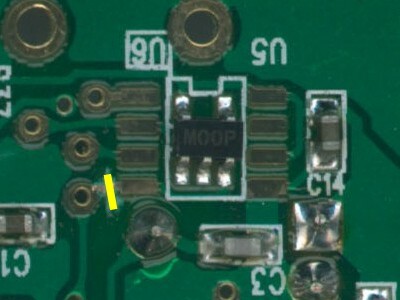 Look on the bottom side of the board for the chip indicated by the yellow circle. Make sure to cut completely through the trace. Re-assemble your CueCat and enjoy serial-number free scanning. Re-assemble your CueCat and enjoy serial-number free scanning.